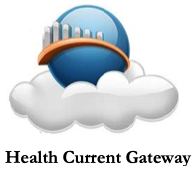 Health Current recently introduced a simple desktop application, the Health Current Gateway, that enables the secure movement of data between Participants and Health Current, without the need for a complex, expensive interface. This application is an ideal solution for long-term and post-acute care providers that submit assessment information to the Centers for Medicare and Medicaid Services (CMS) as part of their payment process, according to Catelyn Nguyen, Sr. Manager, Account & Project Management at Health Current. The Health Current Gateway, powered by Vorro Health, extracts Minimum Data Set (MDS) and Outcome and Assessment Information Set (OASIS) information from the Participants’ electronic health record (EHR) systems and pulls them into the Health Current Gateway where they are converted into Continuity of Care Documents (CCDs) that can be exchanged electronically. This desktop application removes a barrier faced by many long-term and post-acute care providers who would otherwise face expenses that would impede their ability to share information through Health Current, according to Nguyen. The Health Current Gateway is expected to assist in the increased participation and data sharing of long-term and post-acute care providers. In the future, Health Current anticipates that this desktop application could also be applied to assist small and specialty practices in participation and data sharing,Nguyen added.